Located near its St. Paul campus, the University Grove area was created by the University of Minnesota in the 1920s as a residential enclave for administrator and faculty housing and intended to aid in the recruitment of prospective staff. The original landscape plan is by Morel and Nichols. 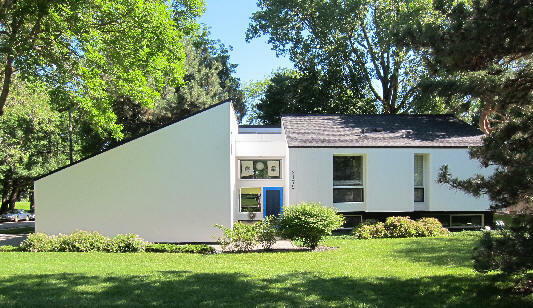 The Grove boasts excellent examples of residential architecture from architects such as Ralph Rapson, whose Livermore residence is emblematic (pictured), Winston and Elizabeth Close, Edwin Lundie, and Richard Hammel. A unique stipulation was that each new house had to be designed by an architect and had a cap on costs, ensuring that homes would be of similar size.